Registration for 2019 will open on Jan. 1st at 12:01am. On-site registration is not available for this event. Please note all information below is 2018 information. If any of the information should change, 2019 information will be available closer to race day. 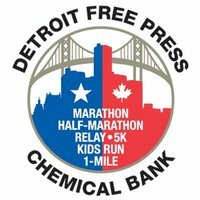 All participants of the Detroit Free Press/Chemical Bank Marathon must be 16 years of age or older by race day to participate. With a wave start, smaller groups of participants are sent off at two-minute intervals beginning at 7:00 AM, which eases congestion in those early miles. Groups are based on the projected pace indicated on the registration form, so an accurate response is necessary. PLEASE NOTE: In the event of road closures due to construction, we have detours planned and ready to go. Stay tuned to our website, Facebook and Twitter for updates. You must be able to complete the marathon in 6.5 hours from the time the “Last Chance Pacer” crosses the start line. We will close the marathon finish line at 2:00 PM, with roads incrementally opening along the course up to the 2:00 PM cutoff. A “Last Chance Pacer” will be provided for your event. These pacers will travel at the average pace needed to cross the finish line at six and a half hours. Your progress will be monitored throughout the race. If you fall significantly behind the “Last Chance Pacer”, you will be given fair warning to pick up the pace. If you can’t keep pace, you will be required to board a bus following the pacers to be transported back to the Start/Finish area. We are fortunate to offer two international border crossings during the course of our event. To continue providing the unique opportunity of crossing the border twice, we MUST re-open the Detroit-Windsor Tunnel to vehicular traffic at 10:00 AM. 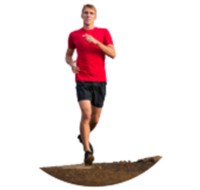 Want to run with a group? Hope to finish within a certain time? Trying to qualify for Boston? If you answered “yes” to any of these questions, consider signing up for our Pace Team service at the Health & Fitness Expo. The Marathon division is an international event crossing U.S. and Canadian borders twice. It is a privilege and an honor to use the Ambassador Bridge and the Detroit-Windsor Tunnel. Do not drop articles of clothing, water bottles, tissue or paper cups as you run across these prestigious landmarks. It is imperative that you accurately complete all information on the registration form, including middle name, date of birth, citizenship, and green card information (if applicable). All registrations are submitted to the Department of Homeland Security for pre-approval.